– Invisible bonding of glass and other transparent materials. 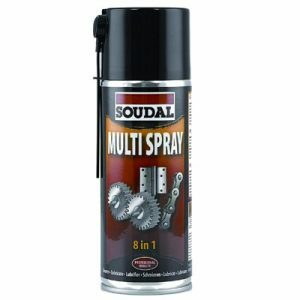 – Due to the wide variety of possible substrates, Soudal recommends a preliminary compatibility test. etc, may differ from manufacturer to manufacturer, we recommend preliminary compatibility test. – Do not use in applications where continuous water immersion is possible or in sanitary applications. – Fix ALL Crystal displays very good UV stability but may discolour in extreme conditions or after long term exposure. 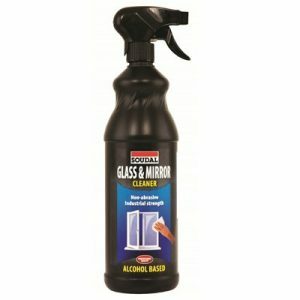 – This product can not be used as a glazing sealant. 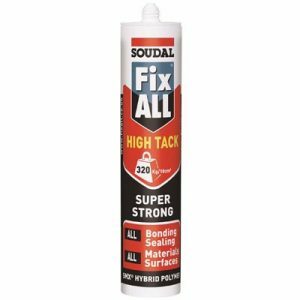 – Fix ALL Crystal cannot be used on natural stone. 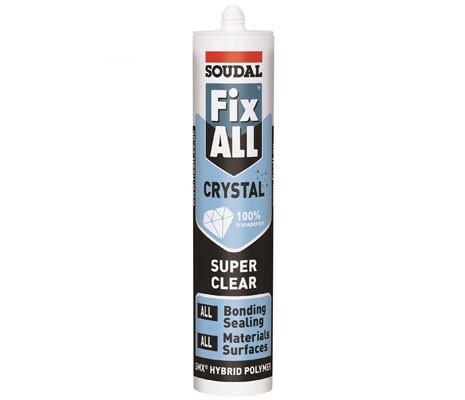 Because the adhesion surface will discolour under influence of the sealant (looks wet) and because this is visible through the crystal clear sealant it seems like staining has occurred.